For 2 days Greg Reynen and James Hill thought they had fallen down the rabbit hole. Finalists in Tourism Queenslands award winning marketing campaign “The Best Job in the World”, they had unwittingly put their hand up to be at the mercy of a rigorous whirlwind tour of North Queensland which this weekend included Undara Experience. Set in the Gulf Savannah region just a short a 45 minute scenic flight from Cairns and Townsville, Undara fulfilled the outback expectations of both Greg, an American based in Singapore, and James an Aussie with strong links in the UK. After visiting nearby Cobbold Gorge they were introduced to the world’s oldest lava tubes before a night around the campfire and the chance to enjoy some of that country hospitality this region is famous for. Tropical North Queensland’s true diversity was apparent– reinforcing the fact that there is more to this area that just reef and rainforest. With professional tour operators like Sky Safari providing safe and efficient transport, both Greg and James were surprised that a place like Undara hasn’t received more attention within the media spotlight. With tougher economic conditions and the trend for Australians to holiday closer to home, they felt that both Undara and the area were ideal destinations. Blogging their way around the state and continuing to attract the world’s media attention, Greg and James are showing off the range of tourism options in Tropical North Queensland. During an 8 day tour of the region they will be mountain biking, jungle surfing, whale watching, snorkelling, jetsking, blo-karting and whitewater rafting. Tourism NT’s successful online trade training program has been extended to include an interactive Kakadu and Arnhem Land module, assisting travel agents to convert interest in the NT to actual sales. NT Destination & Partnership Marketing Manager Mark Crummy said the online training ceNTre first launched a Red Centre module in March that has already seen solid take up by travel agents. “The new Kakadu and Arnhem Land training module increases travel agent knowledge about this World Heritage-listed destination, so they are able to offer their customers a great value destination, that also delivers a high yield sale,” Mr Crummy said. “In today’s uncertain economic climate Australian travellers are more interested in staying closer to home and are looking for holidays that offer greater value for money in addition to an emotional return. “The training program taps into this shifting consumer sentiment by increasing travel agent knowledge of the key life-changing experiences in the NT, in addition to distance, climate and access information. “Industry feedback has already been extremely positive confirming that this program enables agents to better understand the destination and sell NT holidays with more confidence,” he said. Course participants also receive rewards including eligibility to attend Tourism NT famils and priority invitations to Tourism NT trade events. A new Darwin Module is currently under development and scheduled to launch in August. To access Tourism NT’s new online training program log onto trade.travelnt.com and become a NT Community member. Brisbane Whale Watching…..Closer Than you Think! Brisbane Whale Watching is gearing up for a bumper season 2009, welcoming guests from near and far to share in an unforgettable up close encounter with the mighty Humpback whales. As a part of the official celebrations the Minister for Tourism, Peter Lawlor will be on board MV Eye-Spy at Redcliffe Jetty to officially open Brisbane Whale Watching Season 2009 this Saturday 27 June at 9.45am. “It has been a challenging past six months for the region with major environmental issues impacting the bay. We are delighted to welcome Minister Peter Lawlor to officially open our season and join us all in conveying the important message that it is now “business as usual” for the local business community” said Kerry Lopez, captain and managing director of Brisbane Whale Watching. “With 10,000 whales sighted in the bay last year and an estimated 10-12% growth forecast for the season ahead, this is confirmation of a healthy whale population migrating through the bay… amazing when you think back to 1964 when we had just 100!” confirmed Ms Lopez. Brisbane Whale Watching now in its 14th year of operation is privileged to be one of only two permit holders licensed to operate commercial cruises in the Moreton Bay Marine Park. The multi-million dollar purpose built luxury catamaran, MV Eye-Spy is skippered by the South Pacific’s only female captain of a whale watching venture, Captain Kerry Lopez. Built to specifications for whale watching expeditions, Eye-Spy represents the ultimate in design, stability and technology. With a capacity to host up to three hundred guests, the six viewing decks and large bow allow for unobstructed viewing from all points. Floor to ceiling glass with air-conditioned comfort means staying inside will not hinder your viewing pleasure. Enhanced seating along with excellent sea keeping qualities makes traveling to and from the whale sighting grounds both comfortable and enjoyable. Fitted with low noise propellers to minimize noise, while electronically controlled engines reduce fuel usage and exhaust emissions all ensure MV Eye-Spy remains environmentally friendly to both the whales and all other marine life. The Brisbane Whale Watching experience includes a delicious morning and afternoon tea, plus gourmet buffet lunch and expert marine commentary. Tours depart daily at 10am returning at approximately 2.30pm from 27 June until November, leaving from Redcliffe Jetty, an easy 30 minute drive from downtown Brisbane. Daily coach transfers are available from Brisbane CBD, Gold Coast and the Sunshine Coast. Crown Towers in association with Neil Perry is thrilled to offer a luxurious new accommodation package featuring an indulgent dining experience for two at Rockpool Bar & Grill Melbourne. This exclusive package includes overnight accommodation in one of Crown Towers’ recently upgraded Studio rooms, which have recently undergone a stylish and extensive refurbishment,valet parking, a bottle of Australian wine on arrival and lunch for two at the award-winning Rockpool Bar & Grill Melbourne. The new rooms and suites feature custom-made furniture, bespoke soft furnishings, the latest in-room technology and specially commissioned Australian artwork. Each room and suite has been individually designed to create a residential experience for frequent guests and those who appreciate tailored luxury. Since its opening in October 2006, Rockpool Bar & Grill has earned an enviable reputation for delivering a great produce-driven experience that fuses the Rockpool ethos with a classic North American steakhouse. Diners can sample the country’s best produce, share various cuts of meat to experience the depth of variety available and indulge in a selection of fantastic side dishes. The indulgent lunch includes a glass of French Champagne on arrival, a shared menu of Rockpool Bar & Grill’s signature dishes and tea or coffee. This package is subject to availability, 7 days*, from $499.00 per room, per night. (*excludes Saturday lunch). Bookings may be made by contacting Crown Towers reservations on +61 3 9292 6868, 1800 811 653 or by emailing reservations@crowntowers.com.au. Crowne Plaza Hunter Valley has released a range of weekend Jazz in the Vines packages for couples and groups planning to attend the highly anticipated annual festival, to be held on Saturday 31 October. Now in its 17th year, the 2009 festival is held at Tyrrell’s Vineyard and boasts seven hours of live music. With a stellar line-up of artists including James Morrison, who is back by popular demand from last year; Watussi; the award winning Galapagos Duck; Australia’s Army Band, Dixie Jazz Band; and Ladies of Jazz, featuring Christine Anu, Grace Knight, Paulini and Monica Trapaga. Crowne Plaza Hunter Valley’s Jazz in the Vines packages, which include two nights’ accommodation, breakfast in Redsalt daily and tickets and transfers to the festival start at $1,030.00 for two in a deluxe hotel room and $1,580.00 for four in a two bedroom villa. For larger groups, book a Jazz in the Vines package staying in one of Crowne Plaza Hunter Valley’s new three bedroom villas from $2,050.00 for six people. Upgraded Jazz in the Vines packages incorporating Alfresco and VIP tickets to the event are also available across all accommodation options. The new, fully contained three bedroom villas can sleep up to six people and feature two bathrooms, large living and dining area and a kitchen, no more than a couple of minute’s walk from Crowne Plaza Hunter Valley’s many dining and recreational facilities. In addition, all three-bedroom villas have two terraces, three large LCD TVs and all the modern technology to get you connected. With the Brokenback Mountain ranges as a backdrop, the festival not only attracts some of the finest jazz, soul and funk musicians, it showcases the best of the Hunter Valley’s food and wine. While party goers are free to bring their own picnics, Crowne Plaza’s Redsalt restaurant, The Verandah Restuarant, Esca Restaurant and The Hunter Valley Cheese Company are just a few of the local restaurants offering gourmet meals and snacks. Six of the region’s most popular wineries, including Tyrrell’s and Bimbadgen, will have bottles on the day, while Peterson’s Champagne House will set up its own bubble’s bar, offering revellers a superb menu to match the entertainment experience. Made up of four of Australia’s most well known female music artists, Ladies of Jazz promise to be a highlight for the day as they come together to pay homage to legendary greats, providing a show of music celebrating the many decades of jazz. Crowne Plaza Hunter Valley is the perfect place for jazz lovers looking to kick on after the festival. The resort’s four restaurants and bars include Grapevine Café-Bar – overlooking the pool and open for cocktails, wine, food and a wide array of beers from around the world –and Vista Lounge, the hotel’s specialty whisky bar, which is open well into the night. For the rest of the weekend, the award winning Crowne Plaza Hunter Valley, offers guests a range of recreational activities. Set amongst its own 18-hole golf course, the hotel features a huge outdoor pool, tennis and basketball courts, gym and Tea Tree Spa. Featuring a range of individual and group treatment rooms, including the VIP suite and Sanctuary Spa Suite, Tea Tree Spa provides visitors to the Hunter with a unique individual or group pampering experience. welcoming you to Christmas in July celebrations. FREE five minute mineral makeover. pure massage oils are smoothed and massaged over the body. up for dull, lifeless skin as well as an excellent pre-makeup facial for that very special occasion. Perfect for this cold time of year to refresh and revive your skin. Shoal Bay Resort & Spa….the place to be during July! restaurants, 5 bars, the iconic Country Club Hotel and the exclusive Aqua Spa. 160 resident dolphins and 7000 Humpback Whales passing within sight on migration each year. Sandyfoot Café, the iconic Promenade Dining Room and the family friendly Mermaids Bar & Grill. group room and an extensive menu of treatments from hydrotherapy to massage. Starwood Hotels & Resorts today announced the launch of the richest meeting offer ever: the “Free Meetings + Free Nights” meeting package to help take the load off companies planning events and conferences this year. Starwood's biggest meetings offer ever includes free meetings and free stays for every three-night residential meeting booked – a savings of up to 50%. One- and two-night residential conference bookings also enjoy the meetings component for free. This “Free Meetings + Free Nights” generous offer will be available at more than 100 hotels in Asia Pacific in many popular travel and meetings destinations including China, Japan, Southeast Asia, South Asia, Australia, New Zealand and Fiji. Participating brands include aloft, Westin, Sheraton, St. Regis, The Luxury Collection, Four Points by Sheraton, W and Le Méridien. Meeting planners can find more details on this offer as well as a list of destinations and hotels at www.starwoodmeetings.com . Note: The offer is valid until March 2010 for bookings by September 2009.
relevant information on promotions, meetings packages and updates within the shortest time. * terms and conditions apply. Please visit www.starwoodmeetings.com for the full terms and conditions. Suzanne’s Hideaway is a small luxury accommodation resort between Byron Bay and Lismore in spectacular Northern NSW. The resort offers a variety of self-contained accommodation and facilities amid sub-tropical gardens and macadamia orchards. There is plenty to do at Suzanne's Hideaway. Play tennis day or night on the synthetic grass tennis court, exercise in the gym or relax by the 13m saltwater swimming pool. Walk to the rainforest-lined river and swim or fish. Stroll around the fields of grazing cattle. Amble through the macadamia orchard. Many just sit and take in the spectacular sub-tropical setting and expansive country vistas from their verandah. Suzanne’s Hideaway is an easy 3km walk to Clunes village with licensed general store and cafe, and is centrally located with a 25 minute drive to Byron Bay, a 20 minute drive to Lismore, or a 15 minute drive to Bangalow. Byron Bay offers bay beaches, whale and dolphin watching, learn-to-surf lessons, hang gliding, sky diving, secluded rainforest accessed beaches, shopping, night-life and a multitude of dining. The Byron Bay Hinterland offers innumerable things-to do-and sights to see including: quaint rural villages with art galleries, antique shops, cafes and restaurants, World Heritage Listed rainforest walking trails and waterfalls, mountain biking tours, horse-riding tours, hot air ballooning, ultralight flights, helicopter flights, and weekend markets with local arts & crafts, plants, fruit & veges, clothing and a huge selection of tasty foods. 20 Elliot Rd Clunes, via Lismore. The Finnish national epic, the Kalevala, celebrates its 160th year in 2009. The book, whose hero causes his rival to sink in a bog by shamanistic singing, was a source of inspiration for J.R.R. Tolkien in creating the Lord of the Rings. Kalevala has been translated to 60 languages. Kalevala is a literary work and epic poem composed in the late nineteenth century from collected ancient Finnish and Karelian tales, lyrics, dirges and proverbs. The book was compiled on eleven fieldtrips to Karelia by a doctor of medicine Elias Lönnrot who hoped to increase the Finns' awareness of their identity as a nation. As the national epic of Finland, the Kalevala is the nation's cultural equivalent to the tales of King Arthur for the English, or Iliad and Odyssey for the Greeks. The central character of Kalevala, Wäinämöinen, is a wise old bard and shaman who, among other feats, vanquishes his opponent in a singing contest by sinking him into a bog and creates the first kantele, the traditional Finnish string instrument, out of the jawbones of a pike. The Kalevala was hugely successful when first published and became the inspiration for the Finnish national revival, a movement epitomized by the paintings of Akseli Gallen-Kallela (1865-1931), and the music of Jean Sibelius (1865-1957). The book has been recognized internationally with translations in 60 languages. The national epic continues to influence modern Finnish cultural life, literature, arts and music. It is not uncommon to find Finnish businesses that have taken inspiration from elements of the Kalevala in naming and developing their products and innovations. To celebrate the jubilee, the Ateneum Art Museum in Helsinki is exhibiting an extensive collection of art inspired by the Kalevala. The exhibit aims to open new perspectives on the enormous production of Kalevala-themed art, from the national icons produced by Akseli Gallen-Kallela to a vast number of lesser-known works. The exhibition runs until August 9th. The spirit of the Kalevala can be experienced at the Hotel Kalevala located in Kuhmo, in Eastern Finland. The shape of the hotel is inspired by the bird "Kokko", a giant eagle which is a central figure in the national epic. Full of tradition and folklore, the Kuhmo region offers a variety of attractions such as the chance to discover the taiga forests either on foot or by husky sledge or get to know Karelian culture at the Juminkeko Center of Kalevala. The Klaus K design hotel located at the centre of Helsinki is another establishment that cherishes the traditions of the Kalevala. The Kalevala's themes of mysticism, passion, desire and envy, are reflected in the four different design motifs of the hotel's rooms. Kalevala Experience Park in Kuhmo is the first holiday resort focusing on the bounty of pure nature and culture in the spirit of the national epic. Put your character to test in the workshop of smith Ilmarinen or try out your survival skills in the wilderness. Finish the day with visit to a smoke sauna and enjoy the Kalevala flavored supper before accommodating yourself in log cabins on the shores of Lake Lammasjärvi. Possibly the best-known Kalevala brand today is Kalevala Jewelry, which creates classic and contemporary Finnish designs. All Kalevala pieces carry historic themes and many of the models are replicas of ancient Iron Age jewelry discovered by archaeologists. A cornerstone of the 2009 spring collection is "Gravity", a collection that combines ancient engravings with modern shapes. ecruising.travel that was founded in Sydney under ten years ago with just two staff, and now has twenty-one Australian staff and four in an international office in Hong Kong, has won three Complete Cruise Solutions Diamond Awards for Outstanding Sales Achievements in 2009. The Awards recognised ecruising.travel’s exceptional success with sales of cruise holidays aboard the ships of Cunard, Princess Cruises and P&O Cruises in Australian waters, the Pacific and world-wide in the past year. In its first year of operations, ecruising.travel sold just 212 cruise holidays – this year it’s already sold over 2000 cruise, fly/cruise and fly/cruise/stay holiday packages. Founder and Chairman, Brett Dudley in thanking Complete Cruise Solutions for its recognition of the company’s success in selling Cunard, Princess Crises and P&O Cruises said it would not have achieved such recognition without the dedication and enthusiasm of its staff. 24 endangered turtles released back into the wild after intensive rehabilitation in Dubai. Jumeirah’s Turtle Rehabilitation Unit, together with Hatteras Collection UAE, has successfully returned 22 critically endangered Hawksbill and 2 endangered Green turtles to their natural habitat, following several months of rehabilitation. This is the second wave of rehabilitated turtles that have been returned to the deep blue this year; last month the team were able to successfully release 20 turtles in one day, with the help of Hatteras Collection UAE. Dubai’s only turtle rehabilitation project is a collaboration between The Wildlife Protection Office and Jumeirah’s Aquarium team, with essential veterinary support provided by Al Wasl Veterinary Clinic and laboratory work by the Central Veterinary Research Laboratory. All of the turtles have received unique titanium flipper tags so that they can be easily identified if found in the future. Last year the Turtle Rehabilitation Unit released 20 turtles, including a Jumeirah-sponsored, mature Green Turtle called ‘Dibba’ who was satellite tagged and travelled an amazing 8600km to the coast of Thailand. This is one of the longest recorded journeys of a Green Turtle and is the first example of a Green Turtle migration from the Middle East towards Eastern Asia. Blog Korea and Win a Trip to Korea! Share your treasured memories of Korea with people from all over the world and be in the running to win Korean tour packages valued at US$20,000 along with many other great prizes. The Korea Tourism Organization (KTO) is recruiting 100 international bloggers of Korean culture & tourism from June 15 to August 31 2009 in collaboration with the Voluntary Agency Network of Korea (VANK). The event titled ‘Blog Korea! Visit Korea!' is aimed at strengthening the online promotion of Korean tourism. Blogs can be written in a variety of foreign languages (English, Chinese, Japanese, German, French, Spanish, and Russian). Persons interested in becoming one of Korea Tourism's top bloggers can apply for the event after posting content about Korean culture and tourism on their blog. The KTO will recruit one hundred (100) bloggers in early September after examining the extent to which bloggers are interested in Korea, the contents of each blog, and the number of "hits" on each blog. The one hundred (100) top bloggers of Korean culture & tourism will be awarded prizes and the top five (5) bloggers will receive the latest LG netbook worth $500, fifteen (15) runners-up will receive a digital camera, and the remaining eighty (80) bloggers a MP3 player. Moreover, the top thirty (30) most active bloggers will be invited to a special camp in Korea in October 2009. In May 2010, the KTO will select the three bloggers who have shown the best performance over the last eight months (between September 2009 and April 2010). The best blogger will win a Korea vacation package valued at $10,000 while two runners-up will win a $5,000 Korean tour package. The winners can be accompanied on their trip by a family member or friend. The KTO hopes that the event will enhance interest in Korean culture & tourism among bloggers from all over the world. The KTO will recruit 500 top bloggers within three years, and aims to promote Korean tourism more aggressively by expanding its exchanges with bloggers. If you'd like to take part in this event, please visit the KTO's website http://english.visitkorea.or.kr and click on the ‘Blog Korea’ button to enter. Kids stay free at Shoal Bay Resort & Spa these holidays! Shoal Bay Resort & Spa is the place to be for the ultimate affordable family holiday. Escape to one of the best kept secrets in New South Wales and let us entertain your family with an exciting range of activities for kids of all ages to enjoy teamed up with a fantastic school holiday accommodation Hot Deal saving you $160 and kids stay for free! That’s a total package price of $249* per night twin share, based on 2 adults sharing (conditions apply) and valid from 3rd July to 31st July 2009. Port Stephens is a perfect family holiday destination, a blue water paradise of unspoiled waterways with 26 white sandy beaches (flat water beaches perfect for families as well as three pristine unspoilt National Park surf beaches), eco-diverse Marine and National Parks and an endless choice of activities for everyone including the popular whale and dolphin watching tours, diving & snorkeling, kayaking, surf school, jet boating, parasailing and a variety of sailing experiences. You also have the option of heading to the famous Stockton Sand Dunes for quad-biking, 4WD sand dune tours and horse riding, all within close proximity to Australia’s number one golfing destination. The Resort itself offers three swimming pools including a family friendly lagoon style heated pool with children’s wading area and sand pit. Be spoilt for choice with four child friendly restaurants, five bars and the Resort Kids Club. This fantastic service promotes interaction with other children staying at the Resort through fun and exciting daily activities in a safe and fully supervised environment. The award winning Shoal Bay Resort & Spa overlooks the pristine white sandy beaches of Shoal Bay to Port Stephens’ volcanic Tomaree headland. Shoal Bay boasts scenic walking and cycling tracks and for the more energetic - a paved pathway to the top of Tomaree affords unparalleled views of Port Stephens, all within sight and a 10 minute stroll of the resort. Tomaree National Parks also host educational discovery walks and talks during school holidays that the whole family will enjoy. With so much to do right at your doorstep, Shoal Bay Resort & Spa is the place to be these July school holidays! 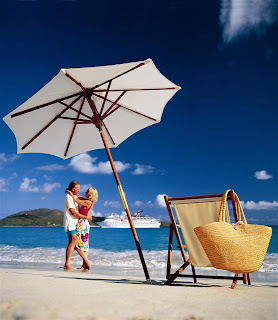 Shoal Bay Resort & Spa is the ultimate beachfront resort for couples and families alike. Including 200 luxurious self-contained beachfront, waterview, pool view and executive style apartments, 4 restaurants, 5 bars, the iconic Country Club Hotel and the exclusive Aqua Spa. Shoal Bay Resort & Spa overlooks the pristine white sandy beaches to Port Stephens volcanic Tomaree headland. Shoal Bay boasts walking and cycling tracks, flat water beaches perfect for families as well as three pristine unspoilt National Park surf beaches. Port Stephens is the largest Marine Park in NSW with over 160 resident dolphins and 7000 Humpback Whales passing within sight on migration each year. Dining options range from the award winning Catch at Shoal Bay, the casual alfresco dining of Sandyfoot Café, the iconic Promenade Dining Room and the family friendly Mermaids Bar & Grill. The legendary Country Club Hotel still remains one of the most popular watering holes on the East Coast of Australia. Aqua Spa includes the unique thalassotherapy mineral spa pools, twelve treatments rooms, group room and an extensive menu of treatments from hydrotherapy to massage. Malaysia’s 10th annual Mega Sales Carnival is back bigger and better this year, running nationally for eight weeks from 4 July to 31 August 2009. Major shopping precincts around the country including districts in Kuala Lumpur, Penang, Melaka, Johor and East Malaysia are all in their final stages of preparation for the massive sale season. Director of Tourism Malaysia Sydney, Mr Shahrin Mokhtar, says shopping is to Malaysians what bush-walking is to Australians. It is one of the nation’s favourite pastimes and for good reason too, with the diverse range of local and international branded goods and services. “People may shop less in Australia when times are tough, but that is not quite the scenario in Malaysia, where normal prices are exceptionally competitive, for example with prizes as low as AUD$10 for leather sandals. “Those ‘in the know’ know that Malaysian sales are famous for their generous discounts of up to 80%, especially on hip international brands such as Topshop, Zara, GAP, Raoul and Guess. “Even luxury labels, including Gucci, Armani, DKNY, and Jimmy Choo offer attractive discounts during this time of year. ‘Shops open from 10am to 10pm, and sometimes later depending on location and crowds... One can literally shop til they drop! “With nothing short of a vibrant atmosphere, first timers to Malaysia may find the shopping season overwhelming, but will very soon get into the swing of bargaining and bargain hunting. “If there was one shopping trip worth travelling to, this is it,” says Shahrin. MasterCard Worldwide, the official card of the Malaysia Mega Sale Carnival is offering redemptions at selected shopping venues and a competition with prizes amounting to RM100,000 (approx. AUD $40,000) cash prize. Seasoned hoteliers Lyn and John Parche understand the value of world class natural assets. Joint General Managers of the celebrated Byron at Byron Resort and Spa, the Parche’s have managed resorts and hotels in all corners of the globe. They were headhunted by larrikin furniture baron Gerry Harvey to develop and run his luxury Byron Bay resort in 2004 and since that time have achieved accolade upon accolade, including The Australian annual Travel & Tourism Awards Best Resort Accommodation (under 100 rooms) and “Best Hosted Accommodation in Australia” in the Australian Gourmet Traveller Travel Awards. “When we first came to Byron Bay we were stunned by the beauty” said Lyn Parche. “The Northern Rivers is home to some of the most breathtaking scenery we have ever experienced. And the mix of alternate, surfing and personal reinvention cultures here means there is always lively debate, music and colour”. The Parches and their internationally experienced team have capitalised on these natural assets. The Byron at Byron offers intimate visits to the local farmers market with Head Chef Gavin Hughes, full and half day trips into the region’s hinterland villages and a restaurant serving local, seasonal and largely organic fare. Not to mention a complimentary daily yoga class for all resort guests. “Our guests lead busy lives and require intensive relaxation and rejuvenation during their limited holiday time’’ says Ms Parche. ‘’We try and offer many opportunities for wellness and healing onsite, as well as a chance to have a local Byron experience ’’. The combination has proven a winner, with celebrities such as Nicole Kidman, Keith Urban, Ben Harper, Moby, Barry Humphries, Pat Rafter, Bernard Fanning, Michael Klim, Kostya Tszyu, Tara Reid and John Mayer visiting the resort. During June, July and August The Byron at Byron is offering a complimentary Whale Watching Byron Bay adventure for two with every two night stay. Valued at AUD$160 for two, it is a good reason to experience earths most majestic mammals in one of earths most majestic locations. Vessels carry a maximum of eight passengers to ensure an intimate experience. Launching from The Pass at Byron means direct access to the waters used by migrating Humpback whales with sightings within minutes and no long boat rides. Stay two nights or more this June, July or August and receive a complimentary whale watching tour with Whale Watching Byron Bay. AUD$385.00 per person twin share. Includes two nights’ accommodation in a one bedroom Superior Suite at the iconic Byron at Byron Resort and Spa and a three hour whale watching adventure for two. Summit Hotels & Resorts, a brand of Preferred Hotel Group, is pleased to announce its newest member in Hong Kong - Harbour Grand Hong Kong. The collection includes more than 150 internationally acclaimed hotels and resorts that celebrate local luxury. Situated on the waterfront in the heart of Hong Kong Island's commercial and shopping district near Causeway Bay, Harbour Grand Hong Kong is a five minute walk to the convenient subway MTR system. A number of striking Swarovski chandeliers, some of the largest in Hong Kong, welcome guests as soon as they step into the hotel's oval-shaped lobby, complemented by Art Nouveau elements. Just opened in June 2009, all 828 contemporary designed guest rooms feature stunning views of the world-renowned Victoria Harbour. Selected rooms even have private patios with heated Jacuzzis to enjoy the view. The five restaurants and lounges offer an exquisite dining experience with the backdrop of the spectacular Hong Kong harbour. The signature Le 188° Restaurant & Lounge offers a 188-degree view of the harbour, Hong Kong Island and Kowloon from the top level of the hotel. Boasting 12,685 square feet of meeting and function facilities, the hotel prides itself with the 6,200 square feet pillar-less Grand Ballroom that can accommodate up to 600 guests. The seven function rooms are flexible with adjustable partitions and all feature more dazzling floor-to ceiling windows offering sea views. Recreational facilities include a state-of-the-art Fitness Centre as well as a 27-metre outdoor heated swimming pool, Jacuzzi, children's pool, and spa. "The worldwide famous harbour views of Hong Kong which are guaranteed in every guest room and throughout the hotel will certainly be one of its crucial selling points in addition to the wonderful hotel product and Hong Kong's five star service. Harbour Grand Hong Kong is a great addition to our portfolio for all markets, whether it be business, leisure or MICE," said Mark Simmons, Area Managing Director, Asia. Benedict Chow, General Manager adds, "As a new luxury hotel, Harbour Grand will need to gain exposure internationally and I believe Summit Hotels & Resorts is the perfect business partner to help us build market awareness and reach the global audience." Summit Hotels & Resorts is a member of the Preferred Hotel Group family of brands which also includes: Preferred Boutique, Preferred Hotels & Resorts, Sterling Hotels and Historic Hotels of America. For reservations and a complete description of the Summit Hotels & Resorts collection, please visit www.summithotels.com. Summit Hotels & Resorts guests are eligible to enroll in the I Prefer Guest Benefit Program, featuring benefits such as early check-in/late check-out, space-available upgrades and more. For more information, please visit www.iprefer.com. With the holiday season upon us Cheapflights.com.au, the Australian site of the international travel online price comparison company, suggests that before visiting the USA it pays to check that you know the new visa rules before flying. Cheapflights also has some useful tips to help smooth your transit through domestic US airports once you are there. Also be sure to print out our “before you fly check list” – this and lots of other travel information can be found on Cheapflights' Travel Tips. Under the United States Visa Waiver Program (VWP), Australian and New Zealand citizens entering the US by air or sea have to apply online for the new American Department of Homeland Security’s mandatory Electronic System for Travel Authorization ( ESTA) - this is instead of a paper visa and allows you to stay for up to three months . However, if you want to stay longer you will still need a tourist B2 paper visa. If you are flying to the US via Canada VWP entitled travellers crossing into the US are NOT required to have an ESTA if they are crossing by vehicle or ferry. BUT you DO require one if you arrive from Canada by air or cruise ship. Our advice is to get an ESTA anyway. A word of warning when going online for your ESTA - There are unofficial ESTA look-alike sites or businesses that claim that they’ll complete your ESTA for a fee – often a very steep one! You’ll find all sorts of sites with URLs that look like official US sites but which are NOT endorsed by the U.S. Government. Travelers should know that there is only one site that is affiliated with the U.S. Government: https://esta.cbp.dhs.gov . The tip is to look for the dot-gov (.gov) at the end of the address. Only U.S. Government sites can have those. And also: ESTA IS FREE! If you’re asked to pay, you’re on the wrong site. If you are travelling to the US from Australia and do not hold a passport from a Visa Waiver Program (VWP) country, you will need to apply for a paper Tourist Visa B2 which can take a while. Check with your local US Embassy’s website for how to apply – you will have to request an appointment for a visa interview because walk-in interviews are not given. The http://www.usembassy.gov/ site provides details of US Embassies around the world. www.cheapflights.com.au, which was Phase1 launched earlier this year is a great place to look for cheap flight deals and up-to-date travel information. It is part of Cheapflights Ltd., a leading international online flight price search and comparison site launched in the UK in 1996. Cheapflights does not sell travel products; it publishes selections of airfare deals available online. These are advertised by a growing range of flight providers. Our international sites provide millions of deals from their host countries where, every day, travellers can search for flight deals from both traditional and low-cost airlines, as well as smaller specialty-travel providers. Our experienced travel editors also post handpicked deals and flight offers exclusive to cheapflights.com.au. The Travel Guide section is packed with more than 100 destinations and the latest news and information, to help flyers enjoy the best possible travel experience, every time they fly. Cheapflights are committed to expanding the content and functionality of www.cheapflights.com.au, to provide users down under with a valuable tool to plan and accomplish their travel. South African Airways (SAA) has added capacity to its African network in keeping with its African strategy, while strengthening its network with additional flights from Perth, Western Australia and Buenos Aires, Argentina. According to Thevan Krishna, SAA's Head of Australasia, the changes are in line with changes to passenger demand in the current environment. "We have assessed off-peak flights on several domestic African and international routes, reducing flights in keeping with a decline in demand," Thevan said. "However we are continuing to take up new opportunities in line with our plans to grow our extensive African routes and as a result, SAA's presence in West Africa has been strengthened while more flights have been added on routes from Australia and Argentina. Further increasing our footprint in West Africa, three extra flights have been added to the popular West African destination of Lagos, Nigeria. This increases the number of frequencies on this route from four to seven per week." "On four of these days, SAA will use a Boeing 747-400 on this route due to increased demand as well as the requirement for a first class service on this route." "Also in West Africa, flights to Douala, Cameroon, will increase from two to three per week." As previously announced, SAA is going daily out of Perth on September 1, increasing the number of flights from five to seven per week, while flights from Johannesburg to Buenos Aires, Argentina, will increase from two to three per week. "SAA will continue to closely monitor market demand and look for new market opportunities going forward. Further expansion of flight frequencies throughout Africa is expected to take place later this year," Thevan concluded. SAA flies non-stop from Perth to Johannesburg five times a week and six times a week from Sydney. SAA flies to 39 cities in 29 countries on six continents and is the leading carrier in Africa. New Zealand passengers can connect through Sydney or Perth for the fastest way to reach the African continent. SAA is consistently voted the 'Best Airline & Cabin Crew in Africa', winning it again for the 15th consecutive year in the Travel Weekly Globe Awards in London. SAA took out top honours at the World Travel Awards in London, winning three awards in the Africa category. SAA is a member of STAR, the world's largest and most comprehensive airline alliance consisting of 18 of the world's leading airlines and 842 airport destinations across 155 countries. Escape the winter chill and transport yourself to the crystal waters of the Western and Eastern Caribbean with Carnival Cruise Lines. See the Caribbean's breathtaking cultural and natural sights onboard Carnival Liberty as she embarks on a series of year round 7-day sailings to Jamaica, Cayman Islands, Mexico, Puerto Rico, US Virgin Islands and Netherlands Antilles. Enchanting beaches, dazzling waterfalls and lush rainforests are just a few of the attractions you'll experience on tthis cruise explores m Mit all. all. ls roundtrip from Miami, Florida to explore San Juan, Puerto Rico, St. he 7-day Western Caribbean cruise which sails roundtrip from Miami, Florida. Ports of call on this itinerary include Ocho Rios, Jamaica; Grand Cayman, Cayman Islands and Cozumel, Mexico. Guests can enjoy savings of up to $222 per person on this cruise, which is a reduced price starting from $763 per person twin share. Fares include all meals, entertainment and activities whilst cruising as well as cruise NCFs, taxes and gratuities. Departures are available all year round. From the charm of San Juan to the delightful mix of French and Dutch cultures in St. Maarten, the 7-day Eastern Caribbean cruise will give you a chance to see it all. Sailing roundtrip from Miami, Florida this cruise explores San Juan, Puerto Rico; St. Thomas, US Virgin Islands and St. Maarten, Netherlands Antilles. This itinerary is priced from $819 per person twin share, which includes savings of $254 per person. Departures are available all year round. 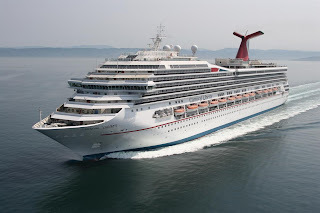 With three sea days featured on each itinerary, guests can enjoy an extensive range of entertainment and leisure facilities onboard the 2,974 passenger Carnival Liberty. Try your luck at the Czar's Palace Casino, catch a show at the Venetian Palace or enjoy a movie on the big screen at the Seaside Theatre. Keep the kiddies occupied at one of the award winning kids clubs onboard – Camp Carnival for 2-11 year olds and Camp O2 for 15-17 year olds – or take them for spin on the three deck high Twister waterslide. Carnival's dining options cater for all tastes, including Emile's Restaurant for casual diners and the Manhattan chic Harry's Supper Club for gourmet delicacies and steakhouse favourites. Tourism Queensland has rounded up the hottest holiday deals for visitors keen to warm up in Queensland for less! Save $272 per couple with Tangalooma Island Resort's Discovery Deal. For $79 per person per night enjoy overnight accommodation, return launch transfers between Brisbane and Moreton Island, a dolphin feeding experience and free land-based tours and activities. Guest booking a whale watch cruise will also receive another free. Tel: 1300 652250; www.tangalooma.com. Oaks Hotels & Resorts are offering Winter Warmth packages at four premier Brisbane properties. For $149 enjoy two nights accommodation twin-share at Oaks Festival Towers, Oaks 212 Margaret, Oaks River City and $159 for two nights at Oaks Charlotte Towers. Tel: 1800 654 640; www.theoaksgroup.com.au. Tamborine Mountain's Cedar Creek Lodges at Thunderbird Park in the Gold Coast hinterland are offering two nights for the price of one from $149 and three nights for the price of two from $298 valid until the end of August, 2009. Christmas in July packages are also available from $1498 per person including twin share accommodation, cooked breakfast and a three course Christmas dinner. Tel: (07) 55451468; www.cedarcreeklodges.com.au. Novotel Cairns Oasis Resort and Big Cat Cruises' family friendly package offers three nights accommodation in a resort double room for two adults and two children, daily buffet breakfast, dull day cruise to Green Island for $664. Tel: (07) 4080 1888; www.novotelcairnsresort.com.au. ecoRidge Hideaway, Preston, south of Toowoomba. Book three or more nights accommodation in one of these three, brand new fully self-contained contemporary, eco-friendly chalets and receive a 15 percent discount. Located 90 minutes drive west of Brisbane, the hideaway is close to wineries and restaurants. Tel: (07) 4630 9636. www.ecoridgehideaway.com.au. Spend three nights at Novotel Twin Waters Resort and Grand Mercure Apartments and extend your stay to four at no cost. Two adults and two children can stay in a resort room at Novotel Twin Waters Resort for four nights for $477 including 20 minutes complimentary internet access, use of the hotel's Kapla kids play area, free soft toy for children up to six years and complimentary Nickelodeon cartoon network. Stay four nights in a two bedroom apartment at Grand Mercure for $585. Guests at both properties have access to swimming pools, barbecue facilities, a large man-made lagoon, windsurfers, catamarans, kayaks, water trampoline, beach volleyball, kids' bicycles and cricket sets. Valid to September 18, 2009. Tel: 1800 072 277; www.novoteltwinwatersresort.com.au. Hervey Bay gets ready for a whale of a season! Accommodation options are also extensive and this year will include the new Ramada Resort Hervey Bay which is scheduled to open for the start of whale watching season and has special packages for two adults including two nights accommodation and a whale watching tour from $170 per person. Details of the tours and other accommodation packages can be found at: www.whalesherveybay.com.au. Qatar Airways has announced that it will commence its long-awaited Australian services with an inaugural flight on 6th December 2009. CEO Akbar Al Baker confirmed the move at the Paris Airshow, saying the carrier will operate three weekly services using a new Boeing 777-200LR to be delivered to the airline later this year and then moving to daily early in the new year when another B777-200 is received. "I know the travelling public is eager for us to begin serving Australia and I've had many people ask me about our direct routes to Melbourne and Sydney. We're finalising some details with regulatory authorities in Australia, and once we've received the necessary aircraft from Boeing, we will be ready to operate," he said. He said the new flight would connect travellers with a one-stop service from the UK and Europe to Australia, with a planned one hour connection time in Doha. Winter in Tropical North Queensland is pure paradise, the mild winter days in a tropical climate allowing holiday-makers to soak up the warmth of the sun without the discomfort of stifling humidity. Novotel Cairns Oasis Resort and Big Cat cruises have partnered up to offer a fantastic family-friendly holiday package that will appeal to the whole crew. Valid to September 30, the package includes 3 night's accommodation in a resort double room for two adults and two children, daily buffet breakfast in Mizuna Restaurant as well as a full day out with Big Cat Cruises, discovering the enchanting Green Island. The price of the 3 night package is $664. Novotel's family-friendly inclusions offer a range of benefits for leisure-going families, including accommodation in a newly renovated room with two double beds sleeping up to two adults and two children. Two children up to age of 15 stay free when sharing the parent's room. With the chilly weather setting in, shed those winter woollies and hightail it to Europe at a scorching hot price with Trafalgar and British Airways. When booked in conjunction with an awesome all inclusive Trafalgar tour priced from just $940 or more, travellers can purchase a great value return to London with British Airways from a as little as $1328 ex Sydney, $1311 ex Melbourne, $1317 ex Brisbane or $1325 ex Adelaide. Prices are per person and are inclusive of taxes and surcharges. Escorted touring with Trafalgar is up to 40 per cent less than doing the same itinerary independently, meaning when travellers combine this great value air deal with an all inclusive Trafalgar tour, they will be enjoying an amazing European holiday for the best available price. Those travellers looking to extend their travel budget even further should see Trafalgar's recently released 2009/10 Britain and Europe Autumn, Winter and Spring program offering savings of up to 25 per cent on peak time travel. This not-to-be-missed offer is only available until 24 July, 2009 for travel between 1 August, 2009 and 31 March, 2010. Conditions apply, for more information visit Trafalgar's website www.trafalgartours.com.au or see your travel agent. With more than 60 years experience, Trafalgar has the knowledge and expertise to design unforgettable touring holidays. Travellers can choose from more than 150 perfectly planned itineraries across eight touring styles. Whether travel is by road, rail, river or sea, with Trafalgar guests are assured of unrivalled quality, service and reliability. Trafalgar's guests stay in carefully selected first class hotels which are located close to the most important sights. Europe's finest tour directors' enrich the experience by bringing each destination to life. All this, at savings of up to 40 per cent compared to travelling independently. About Trafalgar: Trafalgar is the world's leading escorted tour company offering exceptional quality and value tours to a range of exciting destinations. Established in 1947, Trafalgar draws on over 60 years experience in providing unforgettable, seamless holidays to the United Kingdom, Europe and Eastern Mediterranean, USA and Canada. The countdown is on to the official launch of MSC Cruises's second flagship, MSC Splendida, on 12 July in Barcelona. In an exciting first for MSC Cruises – and the first time this has featured on a European cruise ship - MSC Splendida will feature two innovative mini-bowling alleys in its high-tech Sports Bar. Every aspect of these ten-pin bowling alleys has been carefully designed to provide the maximum entertainment, including a traditional-looking bowling surface that is actually made of a tough phenol compound which allows guests to join in the fun without having to change into special bowling shoes. The alleys are scaled down to work perfectly in a bar environment, to encourage people to mix and mingle. The bowling balls have been sized slightly smaller than usual, so they are manageable for youngsters while still presenting a challenge to older players. Increasing the fun, there are two large LCD electronic screens featuring interactive videogame animations, with a choice of Ten Pin Tour and Turkey Shoot. And of course, surrounding the bowling alleys, you'll find all the feature-rich facilities of the sports bar itself, with big screen TVs and a wealth of interactive sports games for solo and group play, making the Sports Bar the ideal place for a change of pace to meet friends old and new. MSC Splendida is the twin sister to MSC Fantasia which was launched in December 2008. Together, they are the largest cruise ships ever commissioned by a European owner and set new standards in spaciousness, comfort, facilities, design innovation and refinement. Despite being sister ships, their themed areas feature many differences, such as the bowling alleys, which are unique to MSC Splendida. MSC Splendida has a choice of six restaurants, including the a la carte Mediterranean L'Olivo, along with 18 bars and lounges, MSC Aurea Spa, solarium, shuffleboard, jogging track, sports centre, squash and tennis courts, five swimming pools and an incredible 19 leisure and entertainment venues, with a casino, theatre and 4D cinema – making every day different! To find out more about this exclusive new cruise ship, simply surf on to www.msccruises.com where you can find full information on its maiden-year cruises to the cradles of Mediterranean civilisation. MSC Cruises currently has the most modern fleet in the world with nine ships: MSC Fantasia - the largest ship ever built for a European ship owner - MSC Poesia, MSC Orchestra, MSC Musica, MSC Sinfonia, MSC Armonia, MSC Opera, MSC Lirica and, MSC Melody, cruising in the Mediterranean all year round, Northern Europe, the Atlantic Ocean, the Caribbean, North and South America, the Indian Ocean and South Africa. MSC Splendida and MSC Magnifica will be respectively launched in 2009 and 2010. MSC Cruises is the only company to have received the '6 Golden Pearls' award from the Bureau Veritas in recognition of its high level of quality management and environmental protection. Boutique hotel brand Mr & Mrs Smith has added seven new properties to its Australian and New Zealand collection, just a month after launching in the region. Mr & Mrs Smith now features 33 must-visit hotels and self-catering villas across the two countries, with the figure set to grow to around 50 in the next two months. Over 500 global properties can be found on www.mrandmrsmith.com. Mr & Mrs Smith, the world’s leading boutique hotel guide and booking service, offers travellers from around the world advice on and access to some of the most exclusive and inspiring holiday properties in the UK, Europe and the Americas, and now Asia Pacific. Simon Westcott, co-founder and Managing Director of Mr & Mrs Smith Asia Pacific, scours the region with his team for boutique and luxury properties that deliver something really special and different. "There’s an X-factor with all our properties," says Simon. "Great style, personal service, boutique scale and fabulous settings are the basic requirements of any good hotel nowadays. We look for all these things and something extra. This month that means some of the best food in Australia at the Royal Mail Hotel in The Grampians, the sophisticated vintage vibe of Wellington’s Ohtel, or the holistic approach to wellbeing at Gaia Retreat & Spa in Byron Bay." Once a hotel has been visited, thoroughly inspected and launched online by Mr & Mrs Smith (with insider recommendations such as favourite rooms and top restaurant tables), an anonymous 'tastemaker' couple is sent back to stay for two nights. Opinion-formers in the worlds of fashion, food, design, the arts, media and other creative industries, these reviewers tell the story of their stay in an engaging, personal way. With a country club feel, this 22-room boutique hotel boasts its own vineyard and gorgeous park-like grounds in the heart of the famous Margaret River wine region. The lakeside restaurant is the jewel in its crown, with chef Tony Howell garnering plaudits and overseeing a 14,000-bottle wine cellar and cookery school. Another gourmet getaway, this time in Dunkeld at the southern edge of The Grampians’ majestic wilderness in Victoria. Set among native gardens at the foot of Mount Sturgeon, the property is all about its multi-award-winning restaurant and wine cellar. Mountain View bedrooms – the only room category recommended by Mr & Mrs Smith – are spacious, sleek and embrace the great outdoors. The hotel provides a brilliant base for guided walks in the Grampians National Park. Set in lush, rolling subtropical hills in Byron Bay’s hinterland, this beautiful 18-room boutique hotel and spa, founded by Olivia Newton-John, is the ideal place to unwind with pampering treatments, a spot of yoga or organic cuisine. Elegant, earth-toned rooms are surrounded by a real sense of nature. With just three luxurious, private pavilions, this stunning contemporary guesthouse is set amid lush native bushland above Pretty Beach in the Bouddi National Park, 100 kilometres north of Sydney. Sophisticated, spacious interiors and fabulous service are complemented by Chef Stefano Manfredi’s creative cooking. Lounging by the pool on a day bed overlooking ancient angophoras and eucalypts feels like the ultimate getaway. An intimate 11-room hotel with a European country house style, Bells teams chic yet relaxed coastal interiors with mouth-watering food: resident chef Stefano Manfredi rules the restaurant roost here, tending the hotel’s vegetable garden. Located on the tip of the Bouddi National Park, it's just an hour and a half’s drive from Sydney’s CBD, or 20 minutes’ by ferry from Palm Beach. This ultra-modern, architecturally-striking luxury lodge sits partway along the scenic Great Ocean Road, on Australia’s highest coastal headland. Designed by acclaimed talents Glenn Murcutt and Wendy Lewin, with stylish contemporary interiors to match, each of its two villas sleeps from two to eight, with a private chef on hand to ensure your stay goes swimmingly if you don’t want to cater for yourself. Note: this is a Smith & Friends self-catering property. A striking 10-room contemporary hotel in the New Zealand capital’s seaside Oriental Bay district. The luxe two-person baths and vintage mid-20th-century modern interiors are standout features, including furniture and ceramics by cult names from Eames and Arne Jacobsen to G Plan, Finn Juhl and Vladimir Kagan. Australian and New Zealand design classics abound too. Eco features include solar hot water. Simon and his style-spotting team aim to offer advice and a booking service for up to 200 rigorously selected boutique accommodation properties in Australia, New Zealand, the South Pacific and Asia by the beginning of 2010. A lush coffee table book, featuring original photography, is coming at the end of 2009 – Mr & Mrs Smith Boutique Hotel Collection: Australia and New Zealand. Savvy travellers can become members of Mr & Mrs Smith and book their weekend (or week-long) escape either online or through the 24-hour local travel team. Smith members are also offered value benefits and rewards such as two-for-one deals and discounts. The 2009 Eumundi Food Fest on Sunday 28 June is shaping up to be a cracker of a day with a stellar line-up of cooking demonstrations and displays guaranteed to appeal to all with a love of fine food and fun. Part of the Noosa Longweekend 10 day cultural event, the Eumundi Food Fest (now in its seventh year) brings together local producers, growers, chefs, restaurateurs, entertainers and food lovers with a host of activities and entertainment throughout the day. The Tucker Tent will be the main hub of the Food Fest with presentations kicking off at 10.30. First up is local bush food expert Peter Wolfe of Cedar Creek Farms, who will be working with locally sourced herbs and spices and Australian native meats. Next is a cook-off challenge with chef Steve Ferris from Modern Primitive doing culinary battle with local gastronomic stalwart Max Porter. Duck is on the menu – with each using the same ingredient to create a winter inspired delicacy, featuring easily accessible local ingredients. These culinary raconteurs will no doubt provide a fun and entertaining cook-off as they bring their different approaches and creative skills to the hotplate. Scott Hardy from Food @ Eumundi will then take to the stage, with a demonstration titled 'Salmon 2 ways' – Sugar Cured Salmon on Avocado and Rocket Tian with Seared Scallops, and Crispy Skin Salmon on Pomme Galette with Cabbage Chourcoute, Petite Herbs and Green Oil. Kai Gerschau from Red Dog Café will complete the morning's presentations with a masterclass on all things coffee. Learn how to brew the perfect coffee and get the most from your coffee machine. The afternoon will commence with an award ceremony from the Noosa Beach Car Club, who will be holding their 'Show and Shine' display – an impressive gathering of sparkling classic motor vehicles that will have car lovers drooling. The afternoon's demonstrations conclude with John Guy and Phil Scott from Treefellers' fame. John and Phil will create Spanish influenced seafood and tasty tapas dishes that will appeal to the novice and experienced cook alike. All the cooking demonstrations will be using locally sourced ingredients obtained, where possible, from produce stalls exhibiting on the day. Recipe cards will also be available. With over 60 stalls attending on day there will be something to tempt everyone's tastebuds, with a dizzying array of tasting-sized takeaway delights; unusual and unique local produce; as well as local Eumundi wineries. Food Fest Coordinator Trent Harvison says, "The Food Fest will be the ideal setting to design your own gourmet picnic from the stalls around. Then sit back, relax and listen to local musicians including Harii Bandhu and Chad Shuttleworth"
"For the family there'll be rides and attractions, face painting, roving entertainers," he says "A truly great day out, the Eumundi Food Fest is an event not to be missed"
The Eumundi Food Fest is an initiative of the Eumundi Chamber of Commerce. Staggering natural beauty, exhilarating exploration and charming settlements await those who travel to South America or Peru and the Galapagos Islands with Tauck this year. Tauck's action-packed itineraries will see you dining with locals, glimpsing rare wildlife and enjoying panoramic views as you immerse yourself in the rich cultures of these exotic destinations. Commencing in the Chilean capital of Santiago, this 13-day itinerary will begin with a city tour followed by a private tasting excursion to the winemaking region of Maipo Valley. You'll then fly to Puerto Montt, and drive through enchanting Patagonia to Puerto Varas, with views of the Osorno Volcano. A two-day crossing through the Andes will take you from Chile to Argentina, with opportunities to hike, cruise across lakes and horse ride. Arriving in Buenos Aires by plane, you'll spend three nights in this 'Paris of South America', famed for the Teatro Colon opera house, delicious steaks and impressive estancias (ranches). You'll be breath-taken by the dramatic Iguazu Falls, spanning both Argentina and Brazil, before flying to Rio de Janeiro. Spend two days in this fun-loving Brazilian capital, famed for its annual Carnival. Departures are available from September to December 2009, with bookings starting at AU$8,635 per person, double occupancy. Experience the Galapagos Islands on this intimate journey from Lima, Peru to Guayaquil, Ecuador amongst just 40 other guests. Arriving in Lima, you'll spend the day sightseeing before dining at an historic mansion. Discover the Sacred Valley of the Incas with a local guide and prepare to be amazed by the ruins of Machu Picchu, which you'll explore with a local guide. 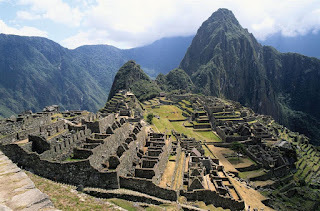 You'll also visit Cusco, the historic Incan capital, before flying to Guayaquil, Ecuador's largest city. Another flight will take you to Baltra in the Galapagos Islands, where you'll embark the majestic Isabela II yacht and begin your cruise through this remarkable region. As you navigate the Galapagos archipelago, you'll stop at North Seymour, Espanola, Santa Cruz, Tower, Isabela, Ferdinanda and Bartolme Islands. During the many shore excursions you'll have the opportunity to sight native fauna, including giant tortoises, rare bird species, sea lions and marine iguanas. Return to Guayaquil for a final day of sightseeing before you journey home. 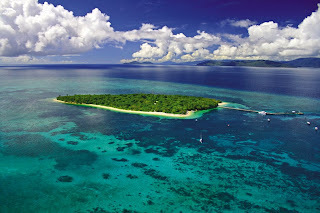 Departures are available from June to October 2009, with bookings from AU$12,284 per person, double occupancy. Pricing for both cruises is based on a Land/Cruise Category C Cabin, and includes internal flights, accommodation, meals, touring with experienced Tauck tour guides and gratuities. AUD pricing has been calculated using an indicative exchange rate for USD of 0.74. This is subject to change and will be recalculated at time of final payment. If you are thinking of traveling to Korea this year, then a newly released free 'Festival Guide Book' to the country will provide you with many ways to join in the festival fun. Joining one of Korea's many festivals is a great way for visitors to discover the real Korea and truly experience Korea's 5,000 years of history and culture. The guidebook lists all the exciting festivals taking place in 2009 with the very popular Boryeong Mud Festival just around the corner. The Boryeong Mud Festival has become an international event with visitors coming from all around the world to experience the many fun events. You can enjoy the huge mud slide, compete in the mud wrestling contest and enjoy many other activities like escaping mud prison as well the ultimate, a mud bath. It's not only fun, the mud has very beneficial effects for the skin. It's a free for all in a mud covered city from 11-19 July, 2009. See www.mudfestival.or.kr for full details of all events. Singapore's world famous Orchard Road is soon to be graced with an exclusive new retail concept branded 'Knightsbridge'. The iconic brand name has been chosen for the chic four-storey retail podium opening next year at 270 Orchard Road. The 83,000 sq ft luxury shopping destination is integrated within an S$80 million makeover of the former Park Hotel Orchard - currently being renovated and re-branded as a 5-star hotel. Knightsbridge and Grand Park Orchard are scheduled to open in the first half of next year. "The Knightsbridge branding is in line with our vision for Grand Park Orchard to become synonymous with fashion and luxury. Our unique concept and strategic location has attracted many sought-after international brands and we are confident that Grand Park Orchard is set to become an iconic landmark on Orchard Road," said Mr Allen Law, Director of Park Hotel Group. Named after London's most fashionable address, Knightsbridge promises timeless chic and classic style. The dazzling exterior of the hotel includes a herringbone-designed glass façade and incorporates a dramatic eight-storey tall media wall. Retail units facing Orchard Road boast direct street entrances and frontages never seen before for shopping spaces in Singapore. Double-volume façade frontages are an added benefit for retailers who can fully showcase their brand labels. Knightsbridge also features flexible floor plans which can be customised to clients' requests. "As a fashionable hotel and stylish retail destination located along Orchard Road, we will satisfy a niche market for discerning consumers. Be it the stylish hotel lobby, the metropolitan sky bar with its stunning pool, or Knightsbridge itself, Grand Park Orchard will be transformed into a fashion icon and the place to be seen," added Mr Law. Grand Park Orchard will become the flagship hotel of the fast growing Park Hotel Group. It features 309 luxurious rooms and suites, including Designer Suites and underlines Park Hotel Group's profile and ambition as a premier hospitality chain in the Asia-Pacific region. Established in 1961 and headquartered in Singapore, Park Hotel Group is a fast-growing chain of city centre hotels in Asia-Pacific, committed to providing quality hospitality. In Singapore, the portfolio comprises Grand Park City Hall, Park Hotel Clarke Quay and the upcoming Grand Park Orchard, the Group's flagship hotel, scheduled to open in 2010. The Group's regional stable of properties in China includes Grand Park Kunming in Yunnan; Grand Park Wuxi in Jiangsu; Grand Park Xian in Shaanxi and Park Hotel Hong Kong; as well as Grand Park Otaru in Japan. Travelwrap For Him – What Men Really Want…. Movie World Goes Birthday Crazy!